Hello paddlers of the internet! My name is Robbie. I come from sunny Scotland. I am excited to be the club coach for the 2019 season. 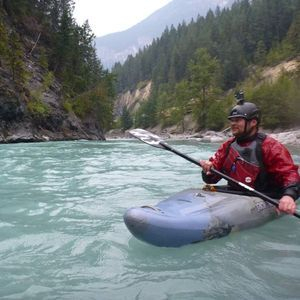 I have enjoyed kayaking from a young age and have been a professional coach for around ten years with seven full time seasons in the water sports industry. I started my coaching career at 16 years old working for local youth organisations, getting people out in boats once a week in the evenings. From there I built a career in the industry working in Europe, the UK, and now Canada. I feel very privileged to be where I am right now and I am passionate about introducing as many people as possible to the different opportunities that our sport provides. I am excited to deliver our programs and courses this season and I hope to give as many people the boating bug as I can. I really look forward to boating with you this season!